A Roman monument to their own civil engineering prowess. 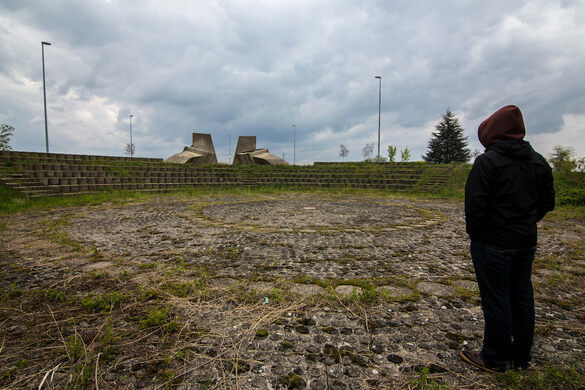 When it was opened in 1981 under the newly united Yugoslavia, the site originally featured a small museum complex, as well as an amphitheater for educational events. Today though, it has gone to ruin. The buildings have fallen to dereliction, while weeds rise in and around the bare amphitheater. The original lighting system, which would have illuminated the monument by night, has long since been removed, while various incidents of vandalism and theft have robbed the memorial complex of plaques and other features. The monument itself remains, however. 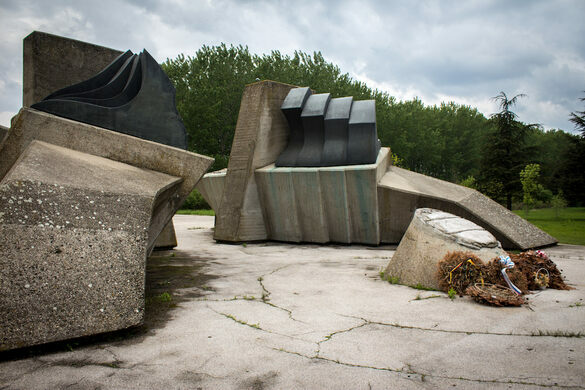 It is formed from two concrete waves topped with three-ton bronze elements. The design was intended to represent a ploughed field, a deep furrow cut through the earth. It was designed by Nebojša Delja, who had intended to create something that would gain more significance with age; as the bronze rusted, the reddening of the metal would more closely resemble the colour of the earth. 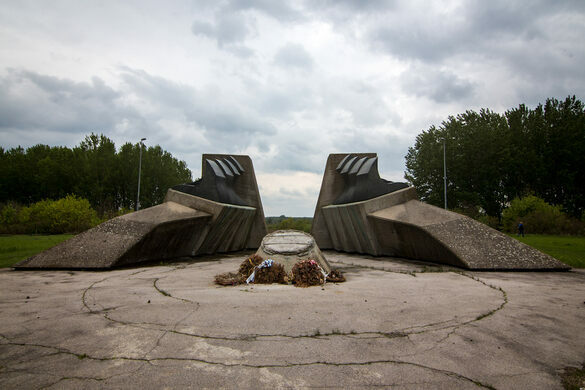 The monument’s creators likely never anticipated the complete collapse of Yugoslavia, however, and the subsequent neglect of this memorial site which today stands as a sad shadow of its former self. The unusual sculptures are believed to be powerful political symbols.